A pair of familiar rivals squared off for the Allstate Sugar Bowl National Prep Classic. In the end, the team with more size and a bright young talent had a little more to claim the championship. 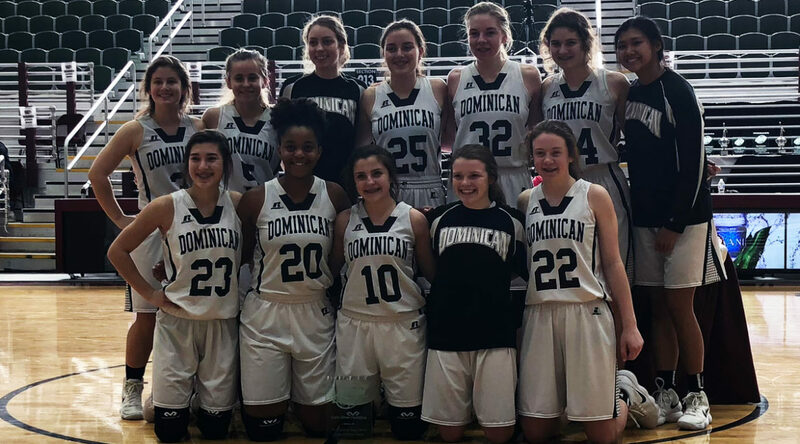 Dominican never trailed in a competitive game and prevailed 36-32 over District 9-5A rival Mount Carmel in the Silver bracket championship game of the Allstate Sugar Bowl National Prep Classic at the Alario Center Saturday. Freshman Grace Hamblin led the way for Dominican. A force throughout the tournament, Hamblin scored nine points and pulled down five rebounds. Dominican took the early advantage, going on a 5-0 run to take a 7-2 lead and led 13-7 after one quarter on the strength of six points from Anjah Yunusah and five points from Grace Hamblin.